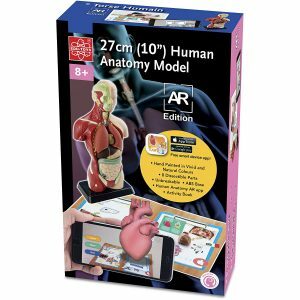 The 3D science models are useful for classroom instruction, homeschooling and on display at the Science Fair. 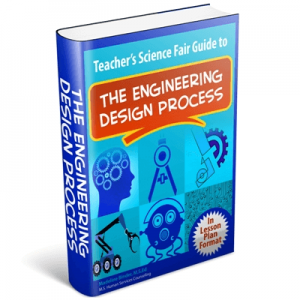 Want to know what is new in the world of Science Fairs, up-to-date information about experiments, topics and ideas, exclusive offers, special sales and announcements of new science fair kits? 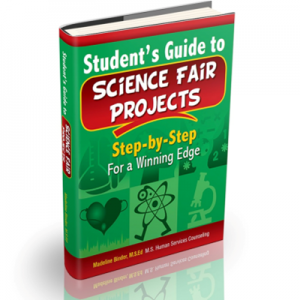 Enter your email address below and you will be In the know with Super Science Fair Projects! All “Standard Shipping” orders will ship using US Postal (USPS). All orders for items that are in stock will shipped within 24-48 hours. If you are on a tight deadline and require expedited shipping, call us at 800-296-3650 to confirm the items are in stock and we can ship your order. Our deadline for all Expedited Shipping is 1 pm (EST). Please remember that most overnight shipping cost between $50 to $100. You may return most new, unopened items within 30 days of delivery for a full refund (not including shipping charges). BUT: we’ll pay the return shipping costs if the return is a result of our error (you received an incorrect or defective item, etc.). Expect to receive your refund within four weeks of giving your package to the return shipper, however, in many cases you will receive a refund more quickly. This time period includes the transit time for us to receive your return from the shipper (5 to 10 business days), the time it takes us to process your return once we receive it (3 to 5 business days), and the time it takes your bank to process our refund request (5 to 10 business days). To return your order you need a Return Authorization Number. Please email us at customercare@super-science-fair-projects.com and we will get back to you within 48 hours. If you don’t hear from us, please call 1-800-296-3650. Most people don’t realize that not all emails get delivered. Your package will be mailed to the manufacturer. Write the Return Authorization Number on the front of the box in the lower left corner. Underneath the number write: Super Science Fair Projects. Any questions email us at customercare@super-science-fair-projects.com. Suggestion: If you only need a few items this year, consider ordering for two or three year supply. Orders less than $75 there is a $15 shipping charge. If display boards are shipped to the states of California, Oregon or the state of Washington, the shopping cart will automatically add an additional $0.50 shipping fee to each board. If you are doing a Purchase Order, the same shipping rule applies. All the items on this pages only ship to the Continental United States. These shipping, handling and return policies are for display boards, header boards, science fair buttons, certificates, ribbons, dog tags, medals, pins, folder, title tags trophies and wristbands. Suggestion: If you only need a few items this year, consider ordering a two or three year supply. Orders less than $75 will have a $15 shipping charge per order. We only ship to Continental U.S. We DO NOT ship to APO boxes. 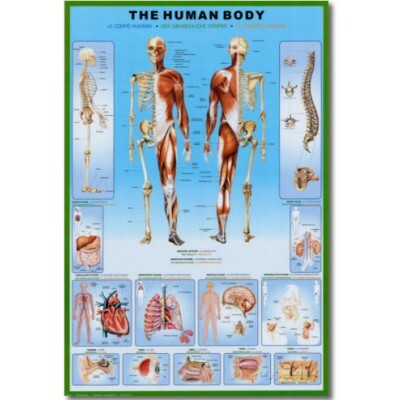 Shipping & Handling Charges of Science Fair Display Boards, Monster Boards, and School Discount Packages have shipping and handling charges included in the price. All requests to return merchandise must be made within ten (10) days from invoice date and you MUST receive an authorization number. There will be a 20% restocking charge and return shipping will be at the expense of the returner (school, company, teacher or individual that placed the order). When handling and shipping charges are included in the price, if you return the merchandise, you are responsible for what the shipping charges had cost to ship to you and the return shipping charges. Many times the display boards come back to the warehouse damaged, so we suggest you store any extra boards and headers for the following year. To qualify for a refund or exchange the product must be in its original packaging and include any wrappers or tags. For expedited service please include a copy of your original receipt. Each product is carefully inspected before shipping. Upon arrival you will be responsible for inspection of the package prior to signing. Do not sign for any damaged items or packages. All kits are guaranteed for 1-full year on all components and service. If there is a problem with a kit the shipper will replace any inoperable or broken items for no charge. Contact us for a return authorization number (RAN), letting us know the issue you are having. If you must return the product, we will send you the RAN number which must be included in the return mailing box and on the front of the box. We will also send you the return address. SHIPPING – All shipments come from Fort Collins, Colorado (CO) or Chippewa Falls, Wisconsin (WI). 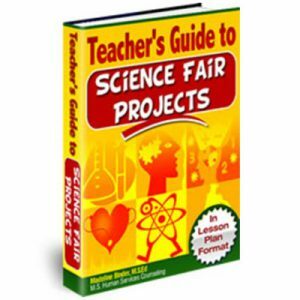 ALL SHIPPING DISCREPANCIES – All shipping discrepancies MUST BE REPORTED TO Super Science Fair Projects within 10 calendar days. 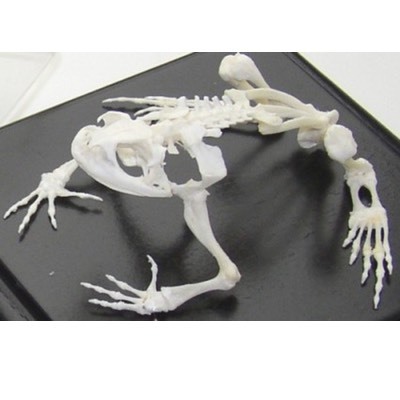 WARRANTY – American Educational Projects that are purchase at www.super-science-fair-projects.com are warranted from one (11) months of receipt to be free of manufacturing defects. Customer must have original invoice number for returns and replacement. RETURNS AND CLAIMS will not be accepted without a Return Authorization Number (RA#), which can be obtained from Super Science Fair Projects. Returns must be made within 20 days of receipt of order and all returned items must be currently inventoried by Super Science Fair Projects, and in saleable condition. If not, fees to re-work product to bring it back into saleable condition will be assessed. Returns may not be made on products which have been discontinued. In order to efficiently process your returns, all boxes should be clearly marked on the outside with the RA#. Returned goods that have not been authorized or do not have the RA # on the box will be refused without exception. A 15% or $15.00 restocking fee (whichever is greater) will be charged on the invoiced amount of all returns. GOODS DAMAGED IN TRANSIT MUST BE REPORTED TO YOUR CARRIER’S CLAIM DEPARTMENT. INSPECT AND REPORT – Have the carrier note the specific damages on the freight bill BEFORE accepting delivery. If possible take a picture of the damages for your claim with your carrier. If the product carton was not opened and inspected by you within 10 days of receipt, Super Science Fair Projects cannot accept responsibility. One Year Warranty: The manufacturer warrants each instrument to be free from defects in material and workmanship under normal use. It does not cover damage resulting from abuse or misuse, repairs, or alterations performed by other than authorized repair technicians, or damage occurring in transit. Item must be returned within 7 days from date received. Refunds will be given as an exchange. All freight charges are paid for by the buyer and are non-refundable. All authorized exchanged merchandise must be in original factory condition and must include all accessories, packing material, inserts and manuals in which it was shipped in. Shipments of returns must be prepaid, and COD returns are not accepted. 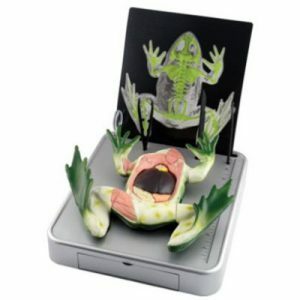 The following Warranties and Return Policy are the the Squishy Circuit products only. We are happy to process returns as long as we have received the items back within 45 business days from originally ordering. Buyer assumes return shipping but will be refunded in full otherwise. All telescopes, microscopes, binoculars and other optical products, except for accessories, made by Levenhuk, carry a lifetime warranty against defects in materials and workmanship. Lifetime warranty is a guarantee on the lifetime of the product on the market. All Levenhuk accessories are warranted to be free of defects in materials and workmanship for six months from date of retail purchase. Levenhuk will repair or replace such product or part thereof which, upon inspection by Levenhuk, is found to be defective in materials or workmanship. As a condition to the obligation of Levenhuk to repair or replace such product, the product must be returned to Levenhuk together with proof of purchase satisfactory to Levenhuk. This warranty does not cover consumable parts, such as bulbs (electrical, LED, halogen, energy-saving and other types of lamps), batteries (rechargeable and non-rechargeable), electrical consumables etc. A Return Authorization (RA) Number must be obtained in advance of return. Contact the madeline@super-science-fair-projects.com to receive the RA number. Display it on the outside of your shipping container. All returns must be accompanied by a written statement setting forth the name, address and telephone number of the owner, including a description of any claimed defects. Parts or products for which replacement is made will become the property of Levenhuk. The customer will be responsible for all costs of transportation and insurance to and from Levenhuk and will be required to prepay such costs. Levenhuk will use reasonable efforts to repair or replace any product covered by this warranty within thirty days of receipt. If a repair or replacement will require more than thirty days, Levenhuk will notify the customer accordingly. Levenhuk reserves the right to replace any product that has been discontinued from its product line with a new product of comparable value and function. This warranty does not apply to any defects or damages resulting from alteration, modification, neglect, misuse, usage of improper power sources, damage in transportation, abuse, or any cause other than normal use, or to malfunction or deterioration due to normal wear. This warranty does not cover product that is lost, stolen, dropped, shattered, or any other type of damage or modifications to the original product caused by the customer. Levenhuk disclaims all warranties, express or implied, whether of merchantability or fitness for a particular use, except as expressly set forth herein. The sole obligation of Levenhuk under this limited warranty will be to repair or replace the covered product, in accordance with the terms set forth herein. M-ZAN Solutions, Inc (DBA as Super Science Fair Projects) and Levenhuk disclaim liability for any loss of profits, loss of information, or for any general, special, direct, indirect or consequential damages which may result from breach of any warranty, or arising out of the use or inability to use any Levenhuk product. Any warranties which are implied and which cannot be disclaimed will be limited in duration to a term of six months for accessories from the date of retail purchase. Some states/provinces do not allow the exclusion or limitation of incidental or consequential damages, so the above limitations and exclusions may not apply to you. This warranty gives you specific legal rights, and you may have other rights which vary from state to state or province to province. Levenhuk reserves the right to modify or discontinue any product without prior notice. NOTE: This warranty is valid to USA and Canadian customers who have purchased this product from an authorized Levenhuk dealer (M-ZAN Solutions, Inc) in the USA or Canada. Warranty outside the USA or Canada is valid only to customers who purchased from an authorized Levenhuk dealer in the specific country or international distributor. Please contact them for any warranty service. If you buy any windmill kit or accessories from www.super-science-fair-projects.com, you may return it within 15 days since the day in which you placed your order for a partial refund. We must receive this within 30 days from the day in which you placed your order for your refund. Include a short note explaining what you didn’t like about the kit to help us improve. When we receive the returned item we will reimburse your credit card as quickly as possible after performing an audit to ensure it was returned in the “same condition” sent. Refunds are for the cost of the materials only; we do not refund shipping charges. If any component is defective, you have the option of just returning that component and we will ship you a replacement free of charge. Note: For all orders over $100.00 we charge a 25% restocking fee. Claims for broken or missing parts must be made within 3 business days upon receiving your order. We will replace them free of charge but after 3 business you will be charged shipping and handling for replacement components. We ship out all orders as quickly as possible. Normally we ship out in 1-2 business days but during the busy season it may take up to 3-5 business days to ship. To expedite your order please call or email us right away. All international customers are responsible for their own duties/taxes/fees. We do not calculate these in our shopping cart. Because items that go through customs are handled by so many people, we cannot be responsible if you do not receive your package. So far we have not had any challenges, but we never know. The best thing to do is notify customs that you are expecting a package from the United States and when it was shipped. Also, check with customs after 10 business days in which you receive your shipment notification. If you do not claim your package in person or by phone within 30-45 days it will be shipped back to us. We will not charge a restocking fee but will have to charge for a reshipment fee. If we receive the package back after 30 days, we will ship it back out as soon as receiving payment for the reshipment. No refunds will be issued for returned shipments received after 45 days of shipping. You may return the product(s) within 7 business days of receiving your order for a refund of the product. The package must be unopened and the product unused. Contact us first to obtain a return merchandise authorization (RMA) number. We will email you the return address with the RMA number. We would appreciate a short note explaining why you decided to return the kit to help us to improve our product and service. When you we receive the return item we will reimburse your credit card as quickly as possible after performing an audit to ensure it was returned in the same condition that it was sent to you. If you opened the package and found a broken part, you must take a photo of the part with a phone camera or another type of digital camera and email it to us within 3 business days of receiving your order. Describe the part as best you can within the body of the email. We will ship you a replacement free of charge, BUT after 3 business days you will be charged shipping and handling for replacement components. We ship all orders as quickly as possible. Normally we ship out in 1  2 business days but during the busy season it may take up to 3  5 business days to ship. Please check with your customs after 10 business days in which you receive your shipment notification. If you do not claim your package in person or by phone within 30  40 days it will be shipped back to us. We will not charge a restocking fee but will have to charge for a reshipment fee. If we receive the package back after 30 days, we will ship it back out as soon as receiving payment for the reshipment. No refunds will be issued for returned shipments received after 45 days of shipping. Building in 1 Direction: The rods can be connected in-line without the intermediate need of a connector, almost reducing to half the quantity of parts required to build models. Building in 2 Direction: While the assembled rod looks uniform with nothing protruding, it may provide building directions vertically and sideways by simply snap fitting another rod to one of the bi-directional side cavities. This innovative design allows snap assembly on both sides simultaneously and greatly enhances the expandability of the System. Building in 3 Directions: The System is capable of tackling with the same ease as all the other building directions. All directions of the 3D space are accessible by combining the rods with the various types of connectors. Triangulating: Structures Right angle triangles can easily be created, ideally with side lengths of 15 units. The advantage of the Engino System is that the 2D structure may at any time be converted to 3D without needing any additional connectors. The TEE and ELBOW connectors provide a change in the plane of building without having any elements protruding. The model may be modified at any time and there is no need to substitute the connectors with different ones. 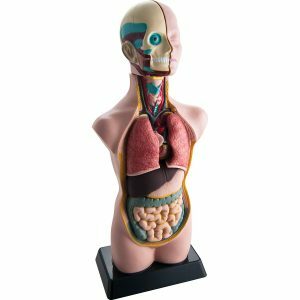 This not only reduces the number of different parts required to make a model but adds to the simplicity and functionality of the System. Connecting Everywhere: Engino rods can behave as bricks that achieve various lengths. What makes this System different than other building toy systems is that any length is possible with the patent-pending extendable rods. This amazing feature, when combined with the pivoted joints, can lead to the creation of any triangular shape and construction that were previously inconceivable. The extendable rod replaces the need of numerous other components and maximizes the building capabilities of the System. Building Machines: The optimized design of Engino components consists of only 18 different types of multi-functional parts. Yet you can build simple and complex machines. Following the same design principles of the basic system, a range of different types of gears, pulleys, axles and accessories make it the ideal constructional toy for home and school. 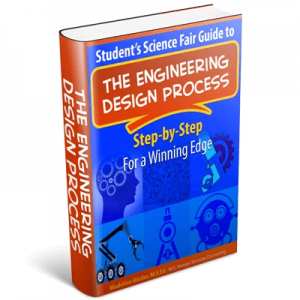 www.super-science-fair-projects.com website: OWI, Elenco, Engino, anatomy models, Jr. Science Series, Maxitronix, Snap Circuits and Tree of Knowledge. All models are guaranteed for 2-full years on all parts and service. 1st 3-months, receive full coverage, no charge. For remaining 21 months, there is a nominal service charge to cover shipping and handling. If a kit doesnt work for you, then the shipper will help you to get it working for no charge. Contact us for a return authorization number. You are responsible for return shipping charges and the shipping charges that you paid to receive the product(s) is not refundable. Requests for returns must be made within 10 days of receipt of order. Product may only be returned upon the approval of the manufacturers, so you must call or email for a Return Authorization Number. Returns made without prior approval, may not be credited or replaced. Returned postage is at users expense. If you are missing a piece of a kit or have a broken piece we will gladly send a replacement piece. Call the phone number listed on the back of all boxes. We do not accept returns for these products. If within 3 days of receiving your periodic table you find that there is a piece missing, let us know and we will send it to you free of charge.